We Won’t Let You Forget! Once you’ve been in for your first inspection you will be notified every year, about one month before your vehicle is due. That way you will have plenty of time to schedule your appointment. 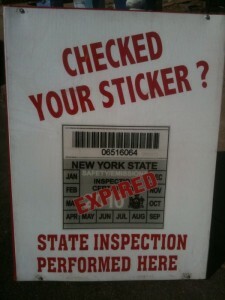 With the police and the parking authority cracking down, missing your inspection date by one day is as good as missing it by a month or a year. You’ll get a ticket anyway. Worried about passing inspection? Don’t. We have all the necessary equipment and expertise to help you with any safety or emission problem, quickly and at a reasonable price.